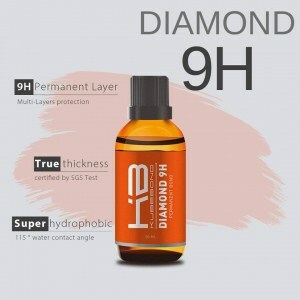 The KubeBond Diamond 9H is based on an advanced Revolution Bonding Technology and is one of the latest developments by world renown company Choose NanoTech. 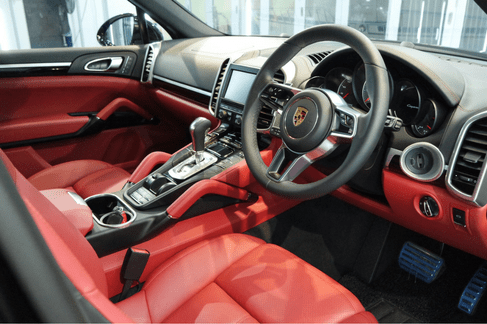 With this new advanced technology, it is able to give never seen before protection levels for interiors and exteriors of cars. Tested by international testing and certification company SGS, the KubeBond Diamond 9H is known to give levels of pencil hardness above 9H. Want to see more? Book a free consultation with us now to see a live demonstration of the KubeBond Diamond 9H and understand more clearly about how it will be applied to your car. Let us help you take your car paint protection to the next level. The super hydrophobic effect of the KubeBond Diamond 9H means that the outer surface will not only stay cleaner for longer, lesser cleaning and maintenance is required. This is because with the multi-layer coating, the surface is protected from dirt and grime, and water when is applied to the surface they will bead up and roll of the surface extremely easily. The 9H pencil hardness as certified by the international testing, verification and certification centre SGS is one of the toughest and most durable paint protection coatings in the market. This makes the KubeBond Diamond 9H extremely resistant against scratches from typical objects like gravel, small stones and other small road hazards. Dread spending the whole day cleaning the car just to make a look presentable? Then the KubeBond Diamond 9H will definitely make your dreams come true. With its unique coating and protection features, the surface is extremely easy to maintain and keep clean. With a simple wipe and wash, you can get your car looking like brand new. Start washing lesser today! At 5D Solutions, we understand that using the right tools is essential to getting the best results, that is why we use top quality tools specially imported from Germany and Italy. From certified calibrated paint thickness gauge to quality polishing pads, we make sure that we are well-equipped to give your car the protection it deserves. We also have a range of packages to cater to varying budgets so check out our packages below to find out more! Get a free consultation with us today! Find out more about how we can protect your precious assets and also the features and benefits that come along with our protection packages.